For centuries, the Black Seed herb and oil has been used by millions of people in Asia, Middle East, and Africa to support their health. 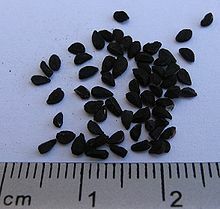 Black Seed is also known as Black Cumin, Black Caraway Seed, Habbatul Baraka (the Blessed Seed), and by its botanical name "Nigella Sativa". This seed has been used for over 3,000 years and was found in the tomb of the Pharoah, Tutankhamun in Egypt. It has also been mentioned in the Bible as well as in the words of the Prophet Mohammed. The most pertinent point to be made about black seed is that it should be regarded as part of an overall holistic approach to health and ideally should be incorporated into one's everyday lifestyle. In this way, the many nutritional and healing properties contained in the seed can help build the body's immune system over time, supplying it with the optimum resources it needs to help prevent and fight illness. and overall improvement of general health. Black seed contains 21% protein, 38% carbohydrates and 35% plant fats and oils. It alsocontains Linoleic acid, Oleic, Calcium, Potassium, Iron, Zinc, Magnesium, Selenium, Vitamins A, B, B2 and C. Since the 1960s there are numerous ongoing studies on the effects of Black seed. 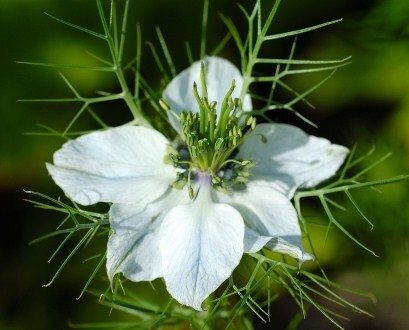 The research has shown that the seeds: have anti-bacterial, anti-inflammatory, broncho-dilating and antimycotic effects; stimulate bone marrow and immune cells; protect normal cells against viruses; destroy tumor cells and raise the number of anti-bodies. Considered to be one of the greatest healing herbs of all times, it has often been referred to as, "A cure for every disease except death".